HP confirmed at its Global Partner Conference on September 12 that it has an agreement with Samsung Electronics to purchase its printer unit for $1.05 billion, HP’s largest printer-oriented acquisition to date. The deal, which HP expects to complete by the end of 2017, gives the company a stronger presence in the A3 copier market, as well as the Korean market in general. Completion of the deal is subject to regulatory review. All assets associated with Samsung’s printer business are part of the acquisition, including manufacturing facilities, supply chain, and sales organization. 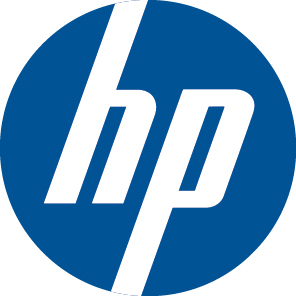 HP gains a portfolio of 6,500 printing patents. It also adds about 6,000 employees, 1,300 of which are researchers and engineers. The company plans to maintain Samsung’s presence in South Korea as is. Once the deal is completed, HP expects to continue the Samsung brand for about two years, according to Enrique Lores, president of HP’s Imaging, Printing, and Solutions business. After that time, Samsung will be integrated into HP’s channel under the HP brand. The move will have an effect on HP’s existing product lines, as some Samsung technologies will be integrated with them. One area that HP emphasized at the announcement was Samsung’s “mobile-first, cloud-first” approach, which the company said could be combined with HP’s next generation PageWide series to create a new portfolio of products. Lores also saw opportunity for some HP technology to migrate to Samsung models. When questioned about the effect of the acquisition on HP’s partnership with Canon for its laser printer engines, Weisler said he anticipated no change in the relationship and reiterated the importance of HP’s work with Canon. He also said that he personally briefed Canon on the acquisition prior to the announcement. “We are really happy with the A4 products we’ve launched with Canon,” he said, adding that he expected to see continued, innovative R&D work between the two companies. The move is part of HP’s plans for the $55 billion A3 market. “We are disrupting the A3 market with the Samsung acquisition and the A3 products announced today,” said HP President and CEO Dion Weisler. HP also introduced a line of 16 A3 MFPs and services at the conference based on both PageWide and LaserJet technology. HP expects to sell its A3 offerings primarily through the dealer channel now and after the Samsung acquisition is complete. About 50 percent of its A3 dealers will come from its existing HP channel partners, and the rest mainly from dealers currently selling competitors’ products, said Lores.